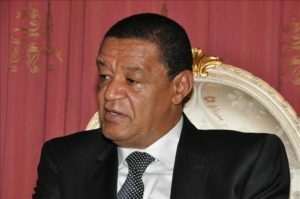 Ethiopia will roll out a visa-on-arrival regime for all Africans entering the country, President Mulatu Teshome said on Monday. The president, who was speaking at the opening of the new session of the country’s parliament in Addis Ababa, said there would be no need for Africans to necessarily apply for visas before flying into the country. All African passport holders need to do is fly in and have their visas stamped on arrival. The move comes barely four months after Prime Minister Abiy announced that the country had started issuing visas online for tourists and other visitors across the world. According to the Visa Openness Index, it’s still easier for Americans to travel around Africa than it is for Africans themselves. Africans still need visas to travel to 55% of other African countries, although visa openness levels have improved from 2015 levels on average. Africans can get visas on arrival in just 25% of other countries and don’t need a visa at all to travel to just 20% of other countries on the continent. Posted by Steven Addamah on October 9, 2018. Filed under News. You can follow any responses to this entry through the RSS 2.0. Both comments and pings are currently closed.